Stone-masonry business specializing in restoration, new build, bespoke carving & lime pointing. 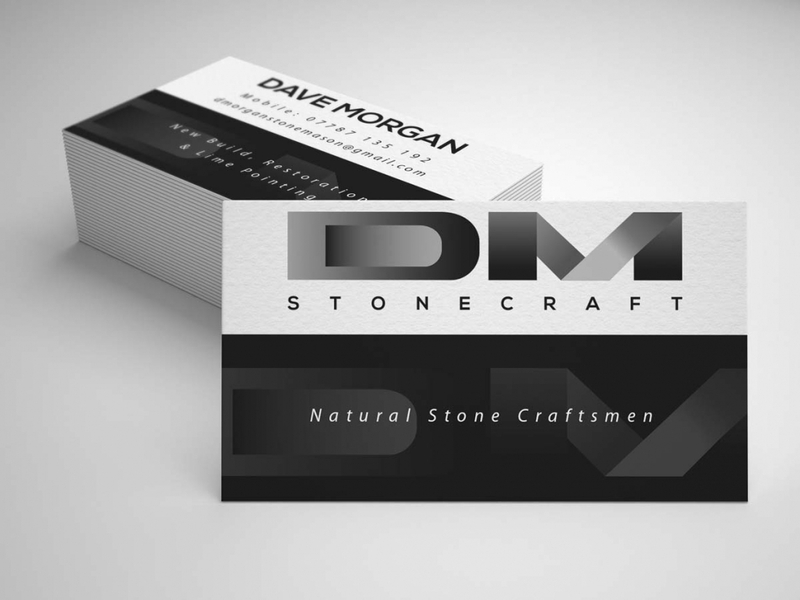 DM Stonecraft came to me when they were looking for a logo that broke from the traditional ‘Stone-masonry’ iconic images and reflected more of a cutting edge. After a number of potential designs were submitted a very simple, very clean monochrome logo was selected. Very simple logo creation which was then transferred onto a clean and clear business card design. The cards were printed with soft-touch lamination to the front and back on a 450gsm board.